Political Spin Removal: Is Obama Threatened in 2012? Is Obama Threatened in 2012? Much is being made of the fact that this year, 2010, the midterm elections also happen be in a census year. After a census, congressional districts are redrawn (“gerrymandered”), a highly partisan political process led by the winning party and its governor in each state. Districts are drawn so that they are “pure” Republican or Democrat, so there is virtually no chance for dissent in any district, and therefore no serious competition for legislative seats. If, as expected, Republicans win more governorships and House seats this year, they will control the gerrymandering process, eliminating much competition for the next ten years, and that includes 2012. The President will need, as always, 270 electoral college votes to win in 2012. The number of congressional seats in each state determines how many electors it gets. Republican states in the south, such as Texas, are expected to gain more electors after the census. So according to some sources (e.g., http://www.foxnews.com/politics/2010/10/23/midterm-races-hold-key-white-house-congress/) this will make it especially hard for Obama to get re-elected. This is a spurious argument, I believe. Electors cast their vote according to the popular vote in their state. It is not illegal for an elector to ignore the popular vote and cast a ballot arbitrarily in a partisan way, but to my understanding that is extremely rare. So the census is not a direct threat to Obama. A more serious threat is that the GOP will have some new Governors elected in 2010 and among them, there might be some credible presidential candidates, although two years is not much time to build an organization sufficient to mount a successful presidential bid. Still, their stable is awfully sparse now, and would benefit greatly from an emergent figure. It’s true that Obama will have a difficult time governing if he loses the House majority to the GOP, as seems possible. However I think there are two silver linings in that scenario. One, the republicans will have to put their necks out when they are in charge. If they really want tax cuts for the rich and do not believe in health care for the poor, they will be forced to say so, and vote so. They no longer can throw stones from the sidelines without any responsibility. I believe the GOP has become so extreme that their bizarre ideas will be illuminated for all to see and that will be good for Democrats in 2012. Secondly, I am not so sure that congress will be gridlocked for the next six years. Unless the Republicans really are delusionally detached from reason, some of them are going to have to realize that it will look bad for them in 2012 if they continue to act like petulant children. The more reasonable among them, and there must be some of those, will be forced to talk reasonably about reasonable legislation and make reasonable compromises, to get reasonable things passed. It could happen. 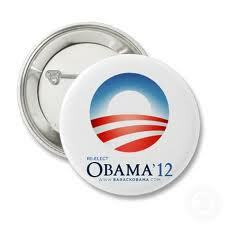 It is almost inconceivable that Obama could fail to get re-elected in 2012. By then, people will be more familiar with the Health Care act and maybe the Financial Reform act too, and will appreciate those. The economy will almost certainly be better by then, although probably still limping. Both wars should be essentially over. Guantanamo should be closed. 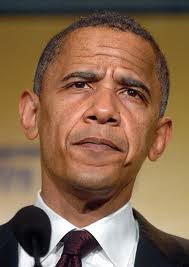 And, I think Obama will compromise on letting the Bush tax cuts expire, renewing them even for the rich for two more years, so that in 2012, it will be the Republicans who have to explain why it is good for America for the richest 2% of the population to get an enormous tax cut. That’s a tough sell even for wing nuts. However, most Americans consistently vote against their own best economic interests by electing Republicans, I think because of a lack of critical thinking ability, which is my fault (I am an educator).